Sand the completed chair carefully (splinters on a chair can prove to be most uncomfortable). Stain or paint the chair the color of your choice using exterior-grade finishing materials. 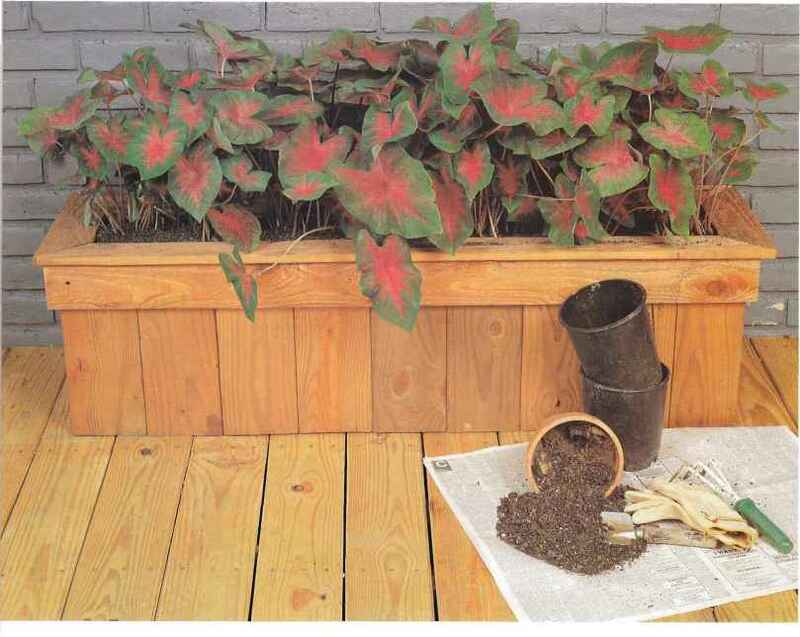 My caladiums have been a lot happier since tliey found a new home in this patio planter. I placed it outside my dining room window so that we can enjoy our plants whether we are inside or outside. This project is perfect for using scrap lumber from other outdoor projects. I used leftover 1 x G treated lumber from building our deck. Be sure to use waterproof glue for all assemblies.